^ "Kenya arrests over banned Wolf of Wall Street film". BBC News. February 13, 2014. Archived from the original on September 10, 2016. Retrieved June 27, 2016. 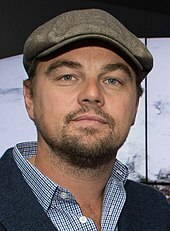 ^ "Leonardo DiCaprio's Appian Way Productions Signs Three-Year Deal With Paramount". The Hollywood Reporter. Archived from the original on May 20, 2016. Retrieved June 27, 2016. ^ "Ben Affleck suits up in 1920s attire for first day of filming Live By Night... while Jennifer Garner takes kids to school in Halloween costumes". Daily Mail. Archived from the original on September 12, 2016. Retrieved June 28, 2016. 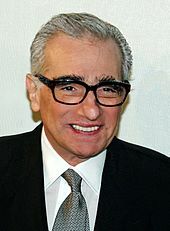 ^ "Leo DiCaprio, Martin Scorsese teaming up for Teddy Roosevelt film". NY Daily News. Retrieved September 26, 2017. This page was last edited on 19 February 2019, at 10:02 (UTC).